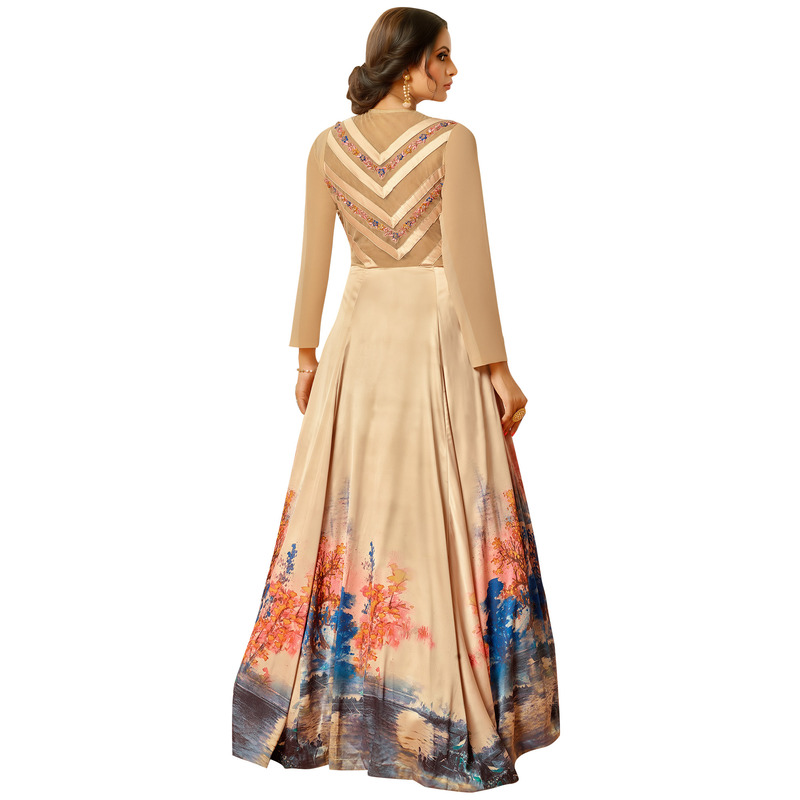 Spread the aura of freshness with this arresting beige colored partywear gown. 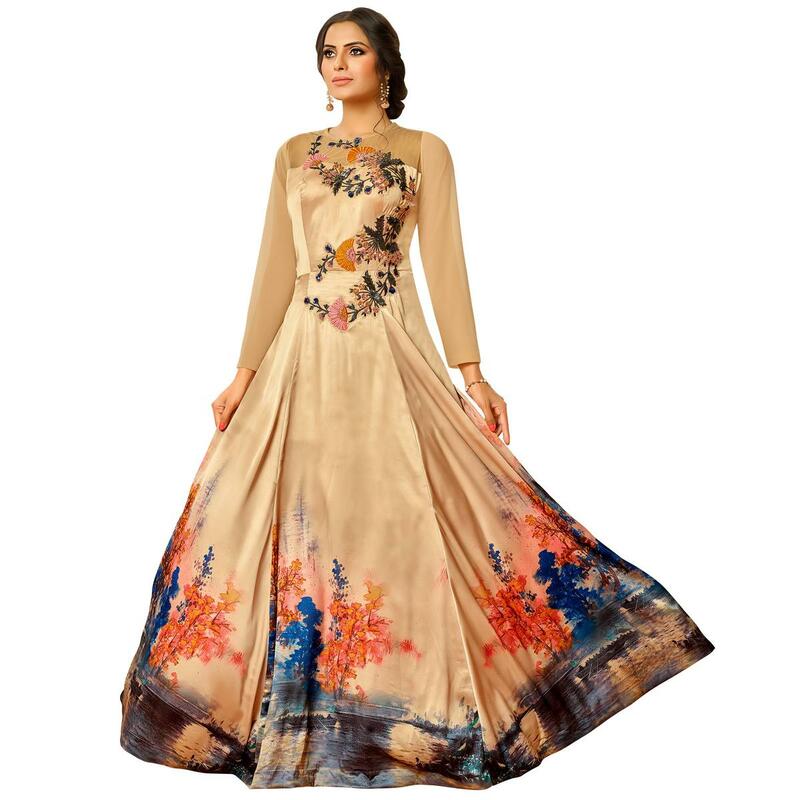 The stitched gown is made of pure muslin silk and satin silk which has been beautified with lovely embroidery work and prints which makes this outfit more demanding. Specially designed to wear for functions, family occasions, parties, high profile events where you want to be center of attraction. Pair it up with stylish accessories and heels to make your look more attractive. Get this gown now before it's gone out of stock. Length Chest Upto 44 inches.